Seals are pinnipeds, semi-aquatic mammals with winged feet. There are 33 species of seals, which can be found in the Arctic and Antarctic regions as well as along the North Atlantic and Pacific coast lines. Seals are the primary source of food for land and aquatic animals such as sharks, whales, polar bears, Arctic wolves and humans. 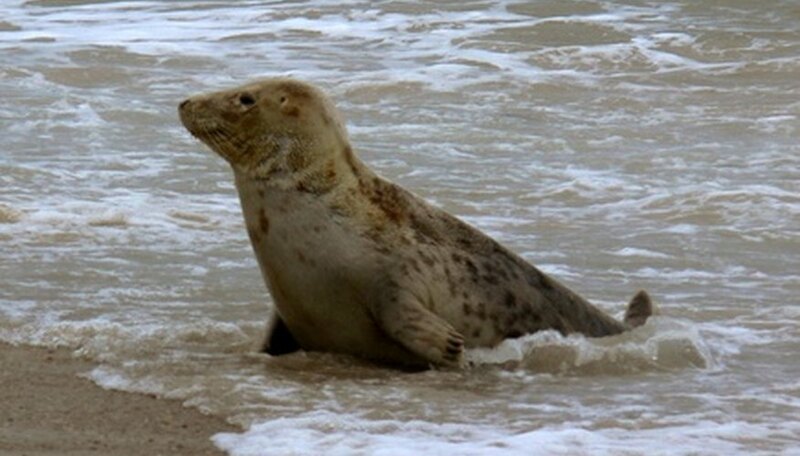 Although seals do not possess any significant defenses against these predators, they have adapted behaviors such as aquatic agility and safety in numbers to protect themselves from becoming prey. In the Arctic region polar bears and Arctic wolves are the natural predators of the seal. The seal is an important part of the of the diet for both species, due to the nutritious insulating layer of blubber seals have under their skin to help keep them warm in the cold climate. Antarctic seals have no natural predators on the land. As a result of the lack of natural predation, seals in the Antarctic have a significantly larger population than seals in the Arctic. In self-defense, some seals can be able fighters; for example, the male elephant seal can weigh up to 5,000 pounds, making him a formidable foe against his predators. Another defensive behavior seals have is living in large colonies, often containing 1,000 or more seals. Land predators are often discouraged by the large number of seals in a single colony, as it is more advantages to hunt a seal on its own, away from the group because it poses less risk to the predator. Aquatic predators such as large sharks like great white sharks and Orca Whales are a significant threat to seals who spend up to 80 percent of their time in the water. Pups are the preferred prey of the aquatic predators, as they have just begun to venture out into the water and are not as highly skilled swimmers as their parents who are able to propel themselves quickly away from predators. 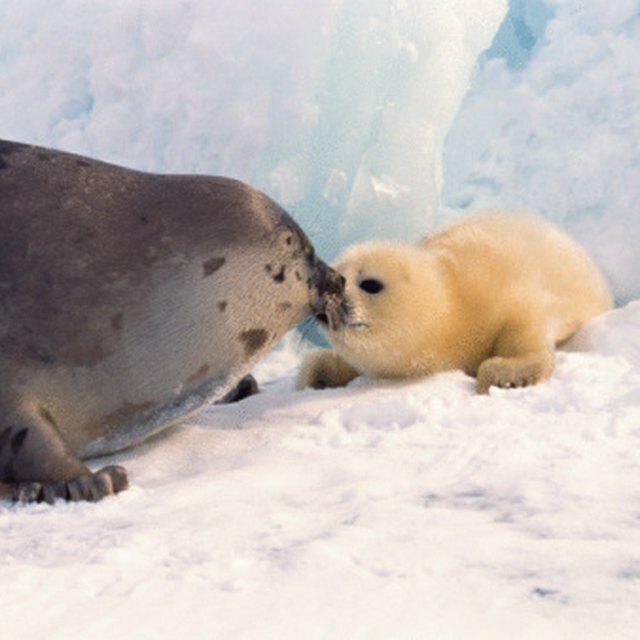 Breeding on land and staying in their large colonies helps to keep seal pups safe from aquatic predators. According to the Antarctic Connection, seals were the first species of animal to be commercially harvested in the Antarctic. Humans hunted seals almost to the point of extinction in the 19th and 20th centuries for their meat, oil and pelts. This resulted in the seal population of the Antarctic region being protected by the Convention for the Conservation of Antarctic Seals. Cooke, Corinne. "What Animals Eat Seals?" Sciencing, https://sciencing.com/animals-eat-seals-6775626.html. 24 April 2017.